Another challenge has caught my eye. With the festive season approaching, I am in desperate need of some seasonal reads, so joining The Christmas Reading Challenge is a must. This one is organised by The True Book Addict. you can choose 1 - 3 books...I know it seems a small amount, but it's a busy time of year and the challenge is only a little over a month. I am going to go for three books as I just love Christmas. Here are a few options that I have collected over the year. I just don't know which three to choose. I probably won't start reading them until I have put my Christmas tree up. In our house that won't be too far away. I like to get the max out of my trees! I have also joined the Book Blogger Holiday Swap which can be found here. This is my first time taking part in this and it is like Secret Santa but with a book blogging buddy. The closing date to join this is tomorrow, so if you want to take part, then be quick. I might even end up being your Secret Santa! 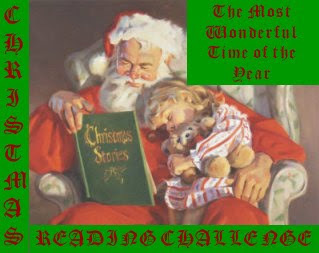 Thanks for this post - I know I've said it before but I'm definately going to taks part in this challenge, 3 books doesn't seem like too many and it might just get me in the mood for christmas. Now I just need to find some christmassy books that aren't meant for children. Do you think I'll get away with The Night Before Christmas, is that strictly speaking a childrens book? Hi, Vivienne! I absolutely had a great time reading Santaland Diaries. Just the cover alone (Santa in the urinal) is worth it! I remember that I also have an audio book of this book. People just kept giving me weird looks every time I listened to it in my iPod. I guess it's because I kept laughing while walking by myself. Hehehe. That does look like a fun challenge, but I can't take it on right now. I'm looking forward to the holiday swap. Wonderful sounding challenge! Unfortunately I'm just too behind in my reading to join. But I am doing the holiday swap! 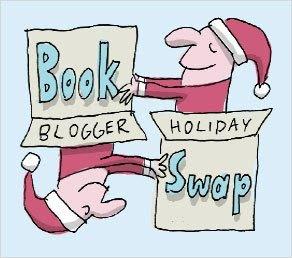 We really like the book swap idea and posted details about the exchange on our white elephant gift exchange blog. Have a great holiday and a fun swap! I'm participating too but still have yet to post about this. Have fun, Viv! Thanks for joining my challenge! I hope you enjoy it! From your list, The Christmas Box and Skipping Christmas are definitely 'must reads'. I've added an update to the original challenge post. You may want to go over and check it out. I am now following your blog. Darn, those cupcakes are making me hungry =o) Beautiful layout! Hi Vivienne! I popped over from Petty Witter's blog to see what your challenge was about. I've already picked out two Chrismas books and will now try to find a third so I can meet your challenge!